Pressure transmitters are used if the process conditions no longer allow direct attachment of a pressure sensor. As BM Engineering Supplies is a respected pressure transmitter supplier, we can provide a wide range of reliable pressure transmitter products, including devices from Bürkert. 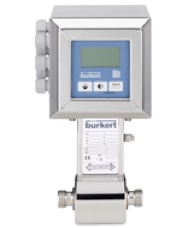 Bürkert’s flow rate controller, Type 8750, measures and controls gases using the differential pressure principle. This reliable and robust system consists of an ELEMENT continuous control valve, Type 2301, with the compact process controller Type 8693 and two pressure transmitters, Type 8323. These components are supplied within an assembled system, including a special body. 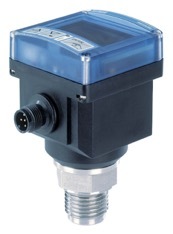 The Bürkert Type 8323 pressure transmitter has been developed to cover most industrial applications in the industrial pressure measurement technology field. This instrument is suitable for different measurements with its high accuracy, robust construction, compact design and flexibility. 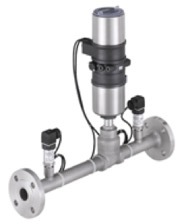 These pressure transmitters are available with a hygienic flush diaphragm and plug for quick installation and service. Bürkert’s Type 8311 mini transmitters come equipped with an extra-large display, which has been specially designed to switch alarms and set-up a monitoring system or an On/Off control loop. The switching points of the device can be programmed with a three-key keypad that is under the display. This device offers both indication and monitoring, as well as continuous or On/Off control all in one device. A pressure transmitter is a device that measures the pressure in liquids, fluids or gases. They are commonly used with industrial machinery, in order to alert users before an incident occurs. They have a wide range of different uses and are extremely versatile. What are the advantages of pressure transmitters? Pressure transmitters can withstand almost any environment and can be completely submerged. They are also made of piezoelectric materials, which are immune to both electromagnetic fields and radiation.